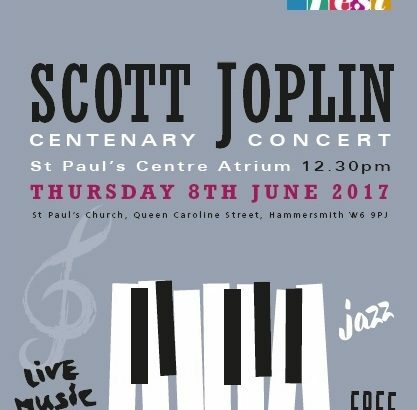 To mark the 100 anniversary of the King of Ragtime Scott Joplin, Steve Law performs some of Joplin’s greatest and best loved music. 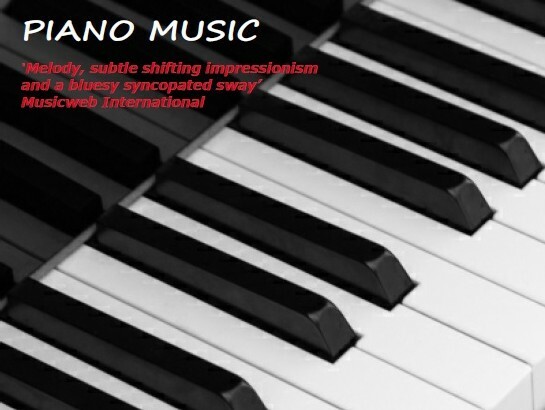 Including Maple Leaf Rag, The Entertainer, The Easy Winners, Elite Syncopations, The Cascades, Gladiolus Rag and many more! 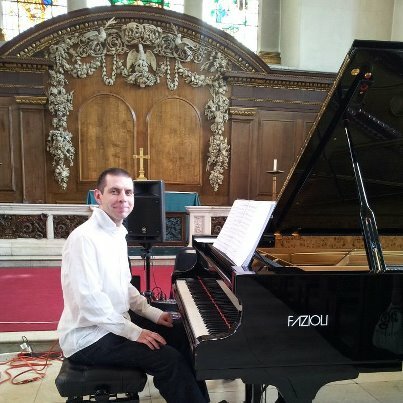 St. John’s Church Harrow-on-the-Hill, HA1 2JE, Thursday July 13th 12.30pm – part of Harrow Summer Music. 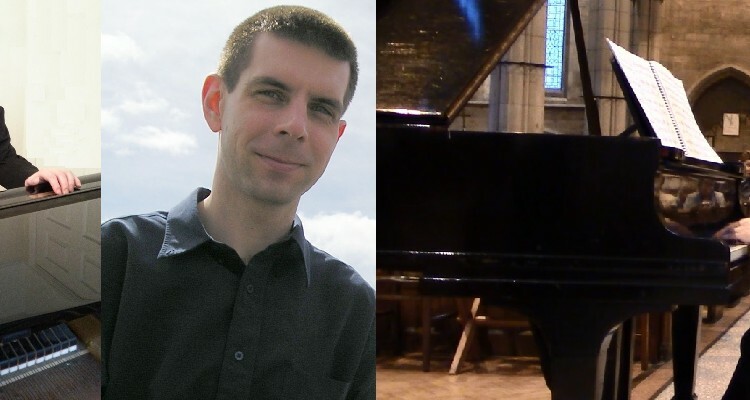 Steve’s Violin Concerto will receive it’s orchestral premier in Scotland on June 3rd with soloist Mark Wilson and Paul Wood conducting Ayr Camerata at Ayr Baptist Church, 51 Fort Street, Ayr, South Ayrshire, KA7 1DE. St. Paul’s Church, Hammersmith, W6 9PJ, Thursday June 8th 12.30pm – in conjunction with the Hammersmith and Fulham Arts Festival. World Premiere of Steve Law’s Violin Concerto. Listen here. The world premiere of Steve Law’s Violin Concerto arranged for violin and piano by the composer. Violin part edited and prepared by Mark Wilson. 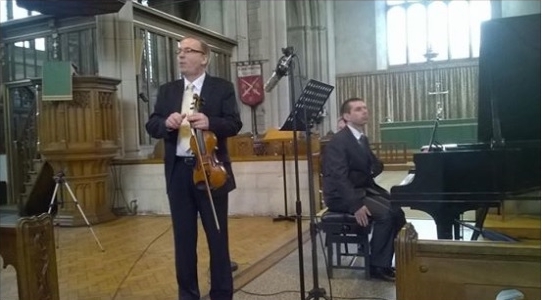 Performed at St John’s Church lunchtime concert, Greenhill, Harrow September 17th 2015.